Frequent flyers, and those who do not travel a lot, will find airline co-branded credit cards and regular cards that will allow them to save on their airfare, hotel stays, rental cars, and on every single purchase they make. This website presents featured online credit card applications on the Internet. We have been referred to as the authoritative source of consumer information by CNN.com. Consumers agree that our web source is "the best and the most reliable source" to apply for credit cards online. Use our convenient comparison tables to compare the online offers from Visa, Mastercard, Discover and American Express side by side. Find and apply for a credit card that suits your individual needs. We will help you to find the advantageous credit cards online - those with low APR, rewards, and for balance transfers. We make it easy to find online applications for people with excellent score, good score, fair score, limited or no credit score. Some people travel by air on a regular basis some do it once a year when going on vacation but no matter how often you fly you always want to cut down the expenditures. The best way to do it is to apply for an air miles credit card. Air miles credit cards are credit cards with special reward programs for travel-related purchases. They are also known as frequent flyer cards. Whenever you use your plastic to pay for certain products or services you receive special points or 'air miles'. Thus you can get rewards, bonuses, and discounts that will make traveling less costly. Some banks work only with particular airlines but many allow you to travel with any domestic or international company. 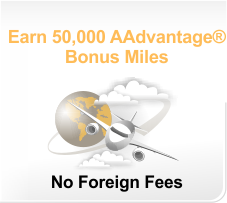 At Credit-Land.com you can find air miles credit cards that can be used for traveling with more than a hundred airways, both domestic and international. Frequent flyer credit cards are useful for regular travelers as well as for those flying on business. Search for the plastic that will suit your needs, compare numerous features, terms, and conditions. Apply for an air miles credit card of your choice online. 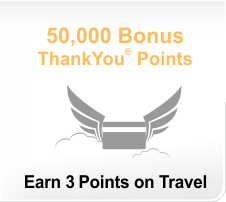 At Credit-Land.com we present credit cards for air miles with excellent reward programs. When choosing a frequent flyer credit card pay attention to such features as interest rate for balance transfer, cash advances and regular purchases, annual fee, and reward programs. If you have good or excellent credit score we recommend you apply for credit card deals with mileage programs. 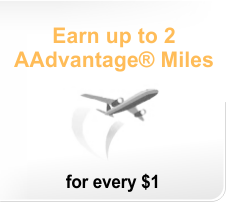 You can get sign up bonus miles or additional miles for round trips. 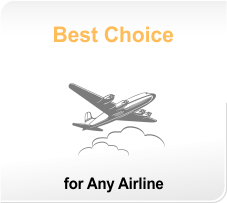 Beneficial frequent flyer cards have no blackout dates and work with any airlines. Each card offers special perks such as gift certificates, no additional fees on purchases made outside of US or rental car insurance. When applying for frequent flyer deals be aware of special conditions such as blackout dates (that means that there are certain dates when you are not able to use your miles). Late payment fees are also high. Sometimes there are time frames for using credit card points and miles you have accrued. Make a side-by-side comparison and apply for the credit card for air miles at Credit-Land.com. The most popular types of air miles credit cards are frequent flyer cards with no annual fee. This kind of plastic is available for consumers with superb credit history. So if you have worked hard enough to have high credit score you are welcome to apply for no annual fee air miles credit cards issued by leading US banks. Frequent flyer credit cards with zero annual fee usually offer other favorable conditions to travelers. For example, there may be no annual fee on balance transfer for a certain period of time. Sometimes though the interest rates are quite high so you need to read the details carefully before you apply for a no annual fee frequent flyer credit card. Your credit score is also something to consider when applying for a no annual fee air miles credit card. If your score is not high enough your credit card application will be rejected and this will have a negative affect on your credit history. So apply online for those credit cards you surely qualify for. People who fly the most are businessmen and businesswomen. Business credit cards with air miles give a wonderful opportunity to reduce travel expenses. These cards are great to use for any business-related purchases. They offer excellent reward programs and bonuses. Financial management is easy if you have chosen the right credit card. Usually business credit cards with air miles allow you to travel with any airline, international or domestic. You can use the points you have earned towards purchasing a ticket on any flight, with no blackout dates or seat restrictions. Additional services, such as assistance in booking flights and making hotel reservations are also very convenient for business-owners. Some of these credit card offers have additional incentives such as no annual fee or zero APR on purchases and balance transfer. Scrutinize terms and conditions to see if you can get double miles for certain purchases or bonus sign-up miles. We have collected business credit card offers with air miles so no matter what kind of business you have and where you need to fly there is a credit card application just right for you. If you have ever wished that you could ask Alexa or Siri how many points you had on your credit card or frequent flyer program, then Points Pal may be right up your alley. Points Pal is a voice-activated tool connecting virtual assistants to a variety of rewards programs, letting people get information, make purchases and more. Days are getting longer, snow is melting and you already feel the lightest breath of warm breeze on your face - spring is here. Summer holidays are looming, and so is Easter with its shopping. You can lift in spirits and let CreditLand experts do all the work! Delta Air Lines is known as one of the best international carriers. It offers its clients flights to 460 destinations all around the world. Credit-Land.com is happy to present credit cards that offer mileage programs for Delta's consumers. American Express offers travelers with good or excellent credit history an amazing Delta SkyMiles Gold Card. Sign-up bonus miles will mark a great beginning of any trip, especially if it's a round trip that qualifies for even more points. There are many other credit cards at Credit-Land.com that are great to save money with while flying with Delta Air Lines. Such acclaimed financial institutions as American Express, CitiBank and Discover have issued credit cards with favorable conditions for frequent flyers. Find excellent rewards and bonuses and enjoy comfortable flights with Delta. 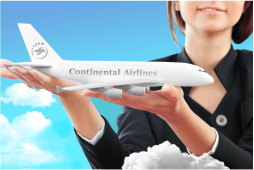 Since 1934 Continental Airlines has been providing excellent service to travelers. 14,320 departures per day make Continental one of the biggest airline alliances not only on the national but also on the international scale. Credit cards issued in partnership with Continental Airlines are an excellent option for those who fly Continental Airlines often. Such bonuses as additional sign-up miles and special round-trip miles make these plastics perfect for those who enjoy traveling with Continental. Check out offers with no expiration dates and no limit to the amount of points you can earn. Compare also credit cards with no annual fees that are issued by several banks. There are many options to choose from, take a look at the list of Continental Airlines credit cards and apply for the one that will match your interests.